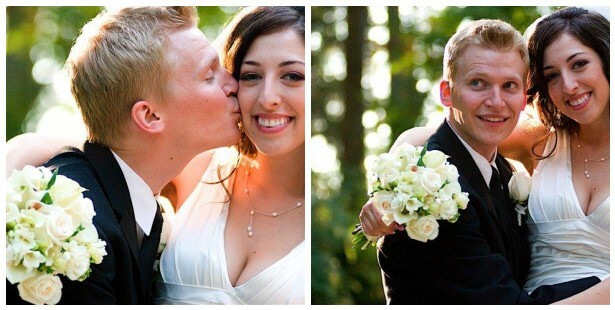 I only just discovered my love for fabrics and sewing about 3 years ago when my husband (pictured above with me on our wedding day) bought me my first Singer Sewing Machine for Christmas. I have been surrounded by crafty people since birth. My mom used to sew her own clothes and loved making dresses and costumes for me and my siblings throughout my childhood. I have even seen my grandma’s apparel design sketches from when she attended art school in her twenties. My first projects included a custom-fit sewing machine cover and a reversible bib for my niece. That progressed into such home decor projects as place mats, napkins, curtains, pillows, coasters, etc. From there I moved almost immediately to apparel construction, making skirts, tops, pjs, dresses, you name it. I never much bothered with patterns, finding it much easier to trace an item of clothing I already knew I loved and begin constructing from there. I later found out this is the same technique my mom picked up in high school; like mother like daughter I suppose! My newest love is quilting, and I am slowly joining the ranks of those who have far too much fabric to know what to do with it all. But, I love it! For those who didn’t get the pun on my blog name, it came from a wonderfully cheesy sign that used to hang above my in-laws entry way. I married my best friend, Levi Seitz, and became a Seitz (pronounced “Sights”) myself and decided that this cheesy mantra was a great way to invite you all in to see my creations. 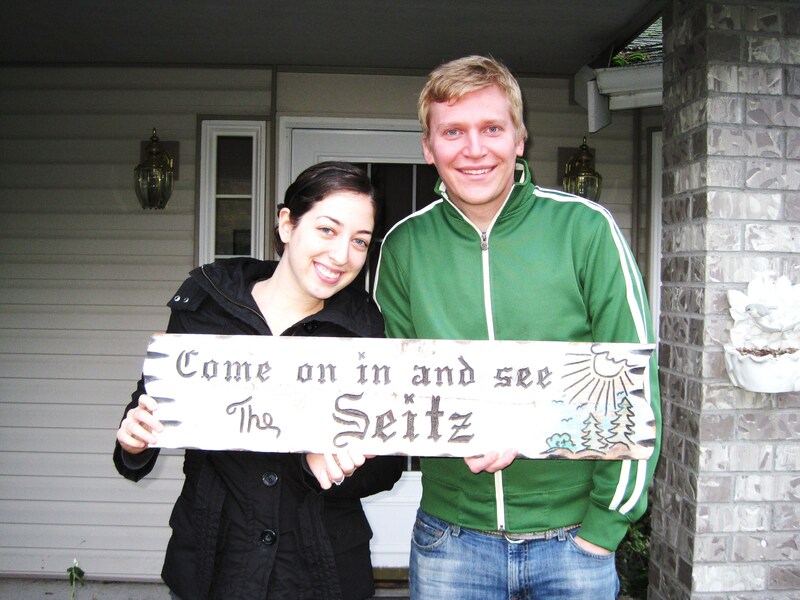 So, welcome to my blog space and please, Come and See the Seitz! Sarah, you are such a clever woman! You remind me of your Aunt Janice. There is no project she won’t tackle, and she almost always succeeds at it quite gloriously! Keep it coming! cous, i have just spent the last 20 minutes gloriously perusing your awesome website. WHY didn’t i get any crafty artistic clifton genes??? it’s not fair. well, maybe i can absorb some from you as we work side by side in the garden 🙂 lots of love! Just love your site! WONDERFUL!! Full of great ideas and tutorials. It is sew hard to follow tutorials that skip info because the teacher believes that everyone already knows how to do something. If we knew how to do it, we wouldn’t be reading the tutorial! Your interjected YouTube videos help, too! (Don’t you just LOVE your 6600? Dream machine!) Congrats on a job VERY WELL done! It seems to be you both of you are perfect couple & I follow your blog to learn about fabrics occasionally. Best wishes for your endeavors.